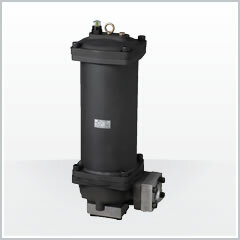 LCN | In-line filters | Oil filters | TAISEI KOGYO Co., Ltd. The inlet/outlet port is most suitable as a bypass filter since a large element for the filtration area is used at the L-shaped port. It can also be used as a line filter.